Reasons VoIP Phones Make Sense Small & Medium Businesses. VoIP (Voice over Internet Protocol) is clearly becoming the best telephony solution for small business. The low cost of VoIP is its biggest attraction. Business VoIP services are significantly less expensive than traditional phone services. You have much less hardware to buy or lease; in fact, many hosted services require no new hardware investment at all. If you do need hardware, it’s typically based on standardized technologies such as SIP, as opposed to proprietary products that tie you to a particular service provider. Monthly subscription fees are lower, as well. 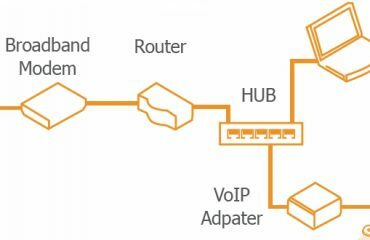 In fact, the easy installation process and mobility of the VoIP system offers a high advantage over traditional telephones. For instance, businesses no longer require separate cabling for traditional telephone systems. It also cuts down on cluttering and fire hazards associated with extra electrical wires. 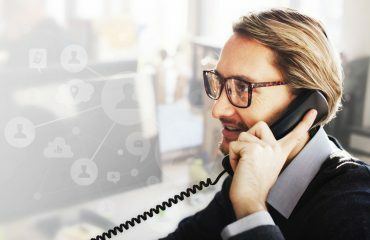 Many hosted VoIP providers offer mobile apps that let you make and receive calls from the road using your data connection. Usually you can adjust the apps to ring simultaneously with your office phone or to act as a stand-alone extension. 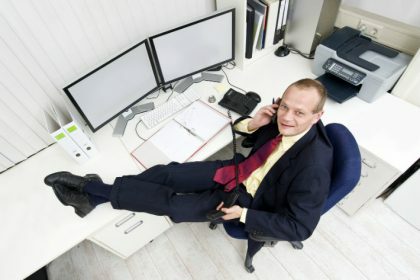 Voice over Internet Protocol (VoIP) technology can increase the overall productivity of an organization by allowing their employees to multi-task without interruption. It also allows the organization to allocate funds usually spent on traditional phone bills to other aspects of the business. VoIP also allows users to attach documents, conduct virtual meetings, and share data via video conferencing. VoIP technology has also enhanced voice clarity to make it indistinguishable from traditional telephony. With a traditional on premise system, you would need dedicated manpower to manage and maintain your phone suite. That is not the case this newer system. Business owners can control their small business VoIP service via an easy-to-use web interface that is accessible through any Internet-enabled device like a PC or a tablet. Once logged in, entrepreneurs have full command of their system. They can even set business hours so that the way the company receives calls during office hours is different from when there are no more people to take calls. VoIP provides number mobility. 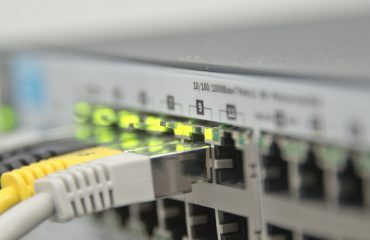 The phone device can be use the same number virtually everywhere as long as it has proper IP connectivity. Many business people today bring their IP phones or softphones when travelling, use the same numbers. The context of mobility here includes service mobility as well. Wherever the phone goes, the same service could be available, such as call features, voicemail access, call logs, security features and so on. VoIP allows make and receive calls in standard phone and feature- rich IP phone with excellent sound quality. Most VoIP providers and IP-PBX software packages deliver a much more feature set than traditional phone providers do. All the basics you’d expect are present including conference calling, voicemail, Internet faxing, and caller ID but VoIP services also often supply virtual receptionists and greeting functionality, customizable advanced call screening and forwarding rules, integration with office software, and the ability to forward voicemail to your email or your mobile phone. Many providers offer these advanced features as part of a subscription; even when you must pay extra, the cost is usually less than you would pay a traditional phone provider for the same services. Reasons why VoIP Phones Make Sense Small for your small Business.